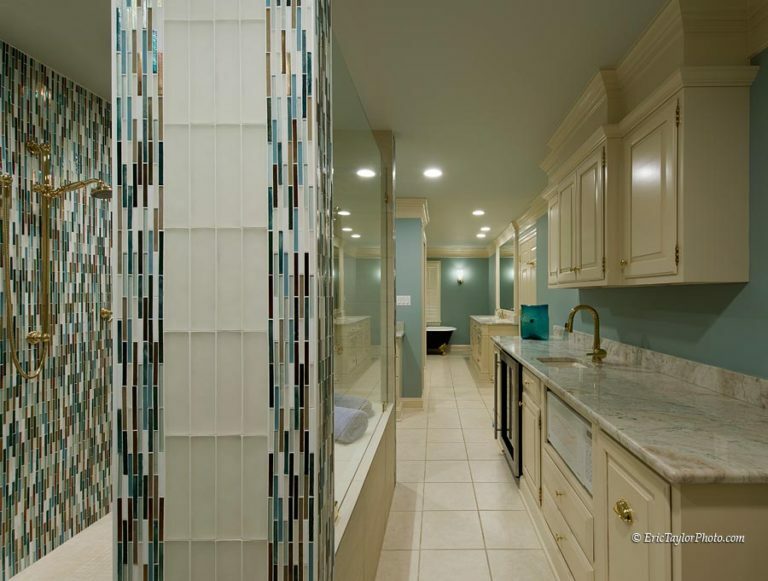 Our client wanted her new bathroom to have light, color, be contemporary and pretty with better function and larger than before. 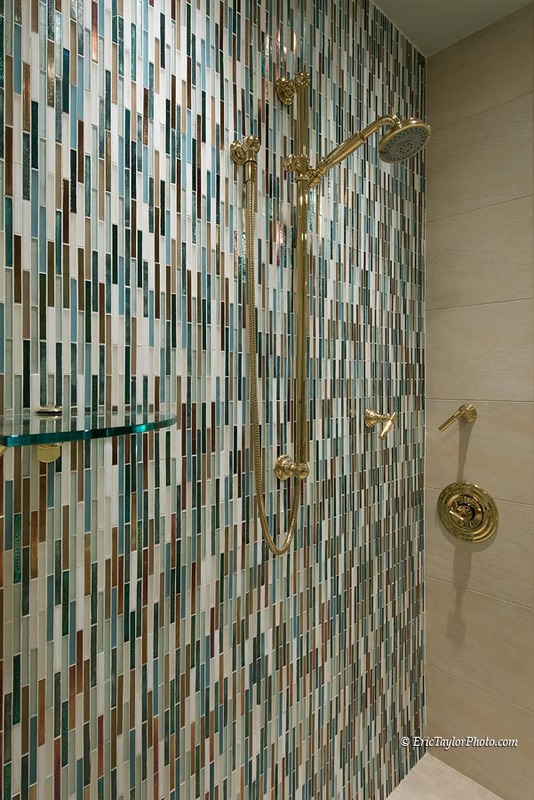 She selected a custom glass tile blend for the back wall. 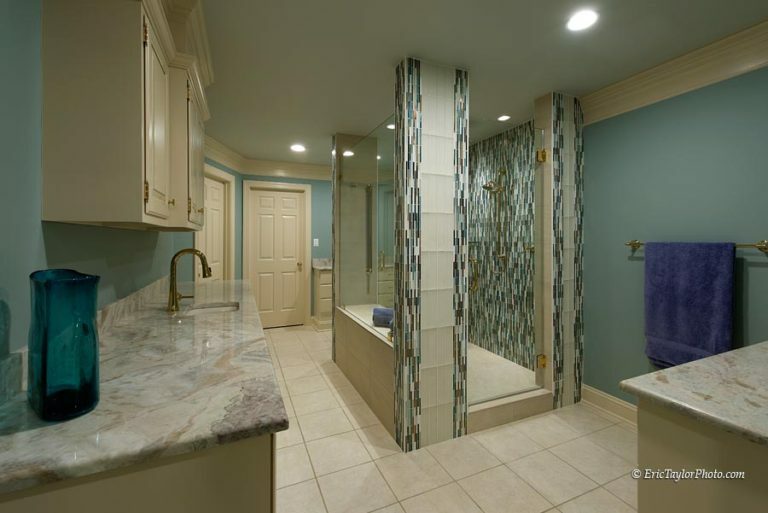 This lead the design for the rest of the room. 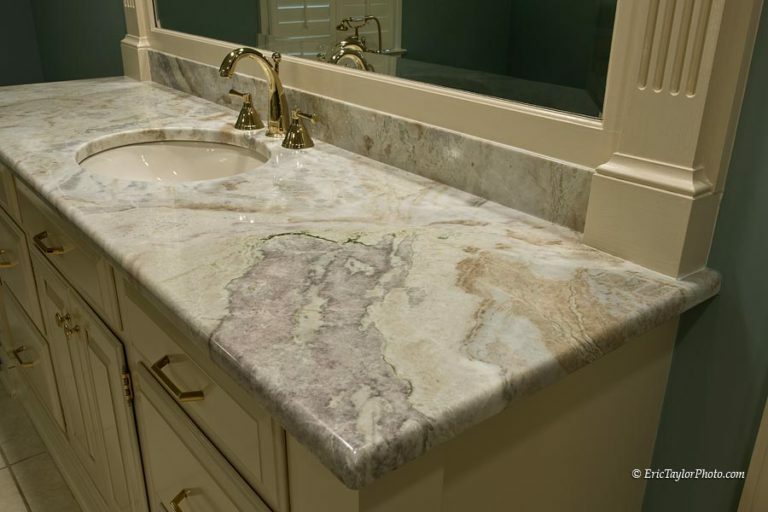 As the design progressed, the new granite countertops also became a central feature. 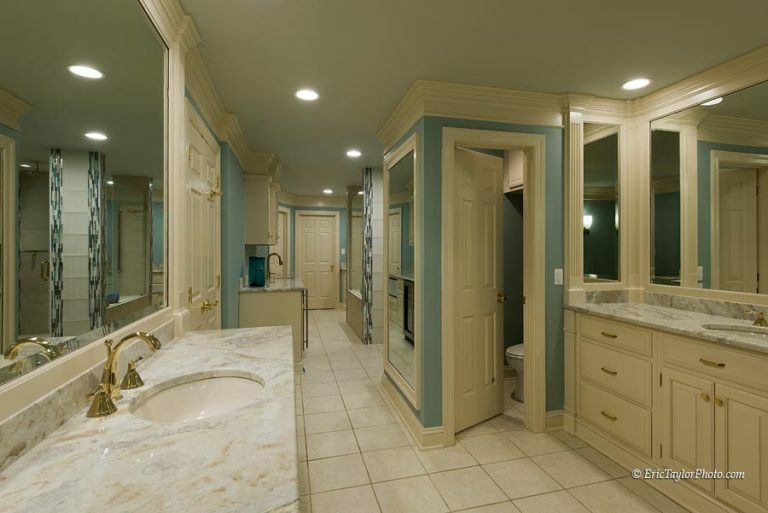 The end result is a luxurious and relaxing bathroom that you would never want to leave. Check out the full story here.